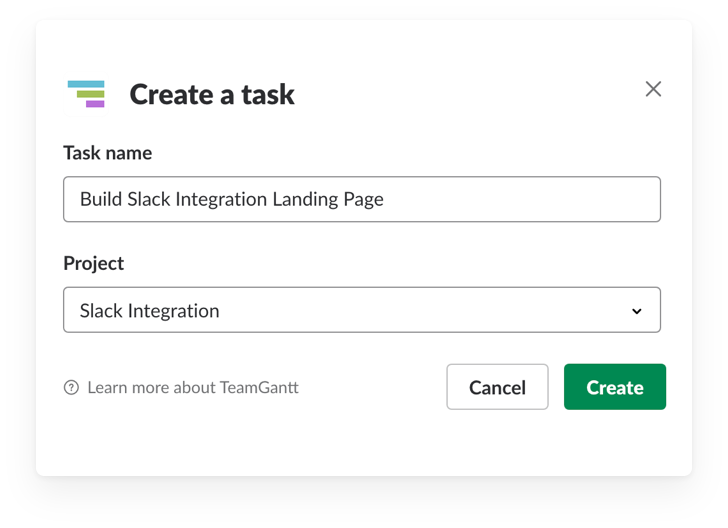 You can now connect TeamGantt with Slack! 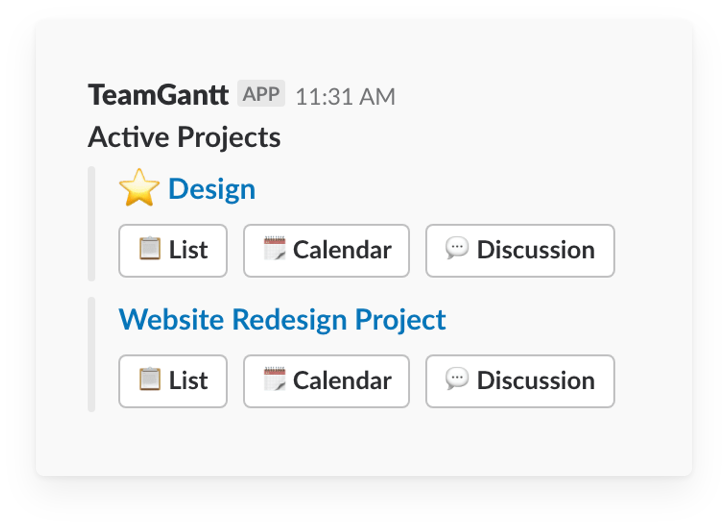 TeamGantt is the simple way to plan, track, and visually manage projects. 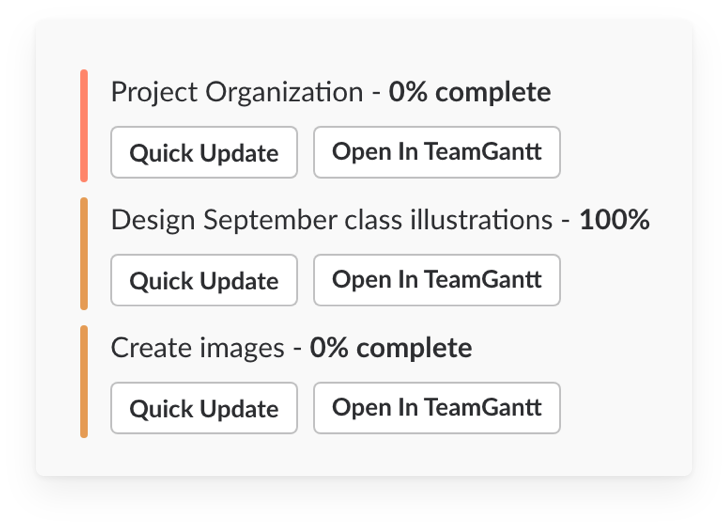 Thousands of customers are using TeamGantt to work smarter and crush their deadlines! 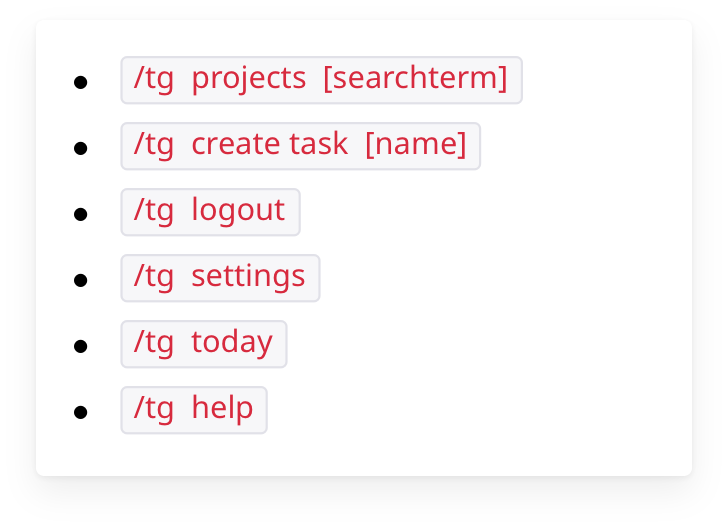 Add new tasks to your TeamGantt projects using actions or slash commands. 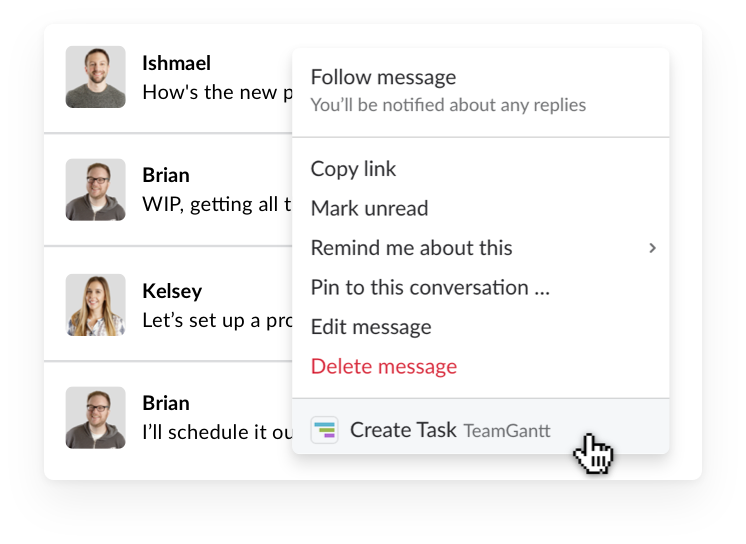 View your daily task list and update task progress right from Slack. Pull a list of active projects into Slack—and filter by search terms. 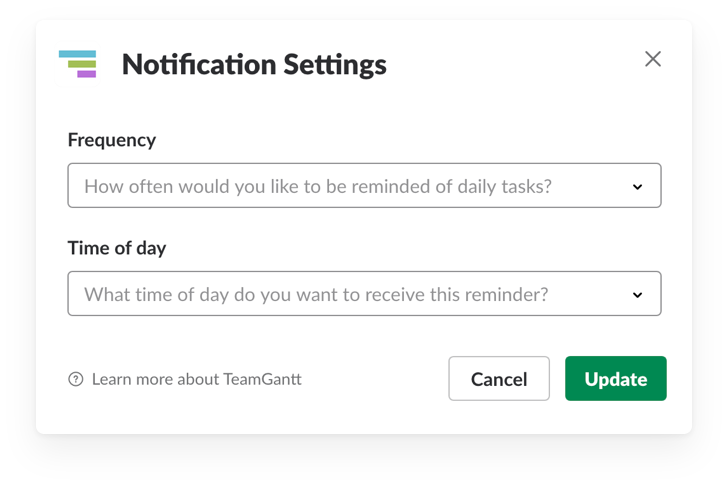 Choose when and how often you want to be notified about TeamGantt tasks. For a full list of TeamGantt for Slack commands, type /tg help into Slack. Take immediate action on Slack conversations so nothing slips through the cracks.